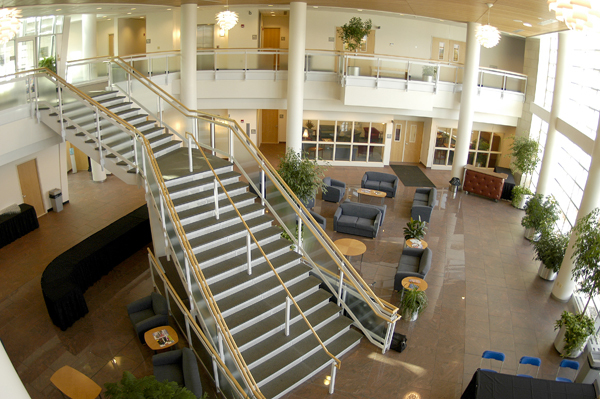 The School of Business & Hospitality provides professional and academic programming in a student-centered, technology-integrated learning environment. The School offers nationally accredited programs in an experiential learning environment to prepare prospective leaders for careers found across many industries of business and/or hospitality. Students - Our mission is served best by attracting and retaining students from diverse demographic, cultural, educational, and experiential backgrounds uniquely united by a desire for quality education, personal attention and growth, and professional development. Faculty - Our commitment requires faculty skilled both as hands-on instructors and as working professionals, who can teach from professional experience as well as theoretical knowledge. This commitment also necessitates sensitivity to the diversity of our students, faculty, and environment. Pedagogy - We encourage self-improvement in our students through an applied and engaging approach to teaching and learning. Our intent is to provide students with the professional, technical, and analytical skills necessary for solving problems and for lifelong learning, aimed toward employment in high-demand, high-growth, traditional, and emerging occupational fields or participation in graduate programs. We affirm that this is best accomplished through personal attention and through building relationships with our students as well as accessible, convenient, and innovative learning environments. Learning Assessment - We organize, document, and sustain an assessment process to evaluate and improve student learning outcomes. Supported by and in collaboration with faculty, administration, and national certifying agencies, this process is designed to provide ongoing qualitative and quantitative evidence that students are achieving established learning outcomes. Professional Focus - We realize that for a professional education to remain both high quality and practical, it must be responsive to a rapidly changing work environment, both culturally and technologically. Thus, it is imperative that we remain flexible and open to change in our delivery and curriculum.